A budget is a plan to help you balance your income against your expenses. Depending on your situation, you might budget to break even and stay out of debt, but if your cash flow allows it, your budget should allow you to also save some money each month. Creating a budget that works is not difficult, however, it does take discipline to stay on top of your budget and stick to it. If you have never done it before, here are some basic steps to help you start a budget. TIP: You can also use money management tool like Personal Capital to automatically track all of your income and expenses for you. This will automatically takes care of step #1 through #4. The first step is to gather your receipts, bills, credit card statements, and checkbook from the last few months in one place. Go through them and make a list of your expenses. Next group your expenses into a few general categories. For example: home, car, food, household, debt, clothes, entertainment, charity, and savings — don’t forget savings! You should also list the most important “must pay” categories first — e.g., mortgage, credit card, car loan, food, etc. — before entertainment. Also, feel free to add some subcategories if you want to be more specific with your budget. Now add up your expenses and calculate average monthly expenditure for each category. Round up to the nearest ten dollars so that you have some wiggle room. Also, it’s important that you don’t forget your quarterly and yearly expenses. It’s a good idea to break these expenses down into monthly amounts and put them in a separate savings account. This way, you don’t run into a budget crisis when the big yearly bills start rolling in. Do the same with your income. List all of your income sources and write down your average monthly income. Look at expenses that occurs daily, weekly, or monthly first. If you can cut or reduce these expenses, you enjoy the savings again and again. For example, utilities, cell phone, television, subscriptions, memberships, transportation, food, etc. If you still can’t balance your budget even after you tried to cut down your expenses, you many want to ask someone you trust to give it an objective look. Another person may see things differently and be able to point you in the right direction. For example, I know someone who lives paycheck to paycheck, but thinks premium HD cable is essential. If that’s still not enough, it’s time to take drastic measure — i.e., sell your car, move to a less expensive apartment, give up bad habits, etc. Another option is to figure out various ways to increase your income. Now that you have the basics all set up, you have to make a budget plan for the current (or the next month). Go through your income and expenses again to make sure that it reflects your current (or next month) financial picture. This is probably the hardest part. Now that you have your budget made, make sure you follow the plan. Don’t spend more than you budgeted. If you have unspent money in a category, carry it over to the next month as income instead of spending it this month. Budgeting takes a lot of discipline and it could be quite overwhelming the first time around. However, there are several budgeting software and tools to make your life easier. 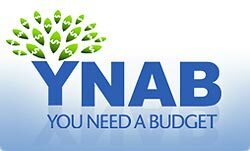 You Need A Budget, or YNAB, is a high quality budgeting software that you can try. The software helps guide you through the budgeting process. The current version of YNAB is YNAB 4 ($60). You can try the software for free for 34 days. Reviewed and updated April 17, 2011. Nice post — Listing the most important categories first is actually a really good idea. I hadn’t considered that. thanks Bill! I know most of my money goes towards dining out and random expenses. All these little things add up. Amy, I felt the same way until I wrote my first budget. Once I gathered my courage and had all my income and all my expenses on one sheet of paper I found out that I had an excess of about $400 income every month that was simply vanishing. It was disappearing at fastfood restaurants, malls, movie theaters, and bars. Two months later I had caught up on all my past due bills by following a budget and applying the $800 I identified toward my debt. Start today and I bet you’ll thank yourself in a month or two too! i should totally make a list of income and expenses. i think i’m just scared to see it on paper. haha. -Think about your purchases and how they relate to the budget you have set up. -Establish broad categories and assign an estimate of your expected expenses; this goes along with the adjustments each month. -The more micro-managed your budget becomes, the harder it is to execute. -Use broad categories like food, transportation, clothing, housing, and discretionary. I’ve been using Mint.com for a little over a year now and have found it quite helpful in managing my budget. Quicken has also recently dropped their online fee, so it is also a good alternative to regular spreadsheets and/or pen and paper. It is important to remember that a budget is not just a tool for tracking expense. A budget is basically a planning tool in which one sets goals one hopes to meet. Measuring performance vs. goals is where the budget really kicks in as a great tool for feedback on our behavior. I currently use Mint.com and I love the way it bring all my accounts together for a simplified personal fiance examination. I feel lucky that my mom’s always been frugal and that I learned to budget because of her. I’m always scared to end up like a relative of ours who’s buried in debt, so I’ve always tried to be careful with my money but can still be generous when needed. @Baker – Thank you. That’s a good way to do it, but the most challenging part for most people is becoming one month ahead. I’ve been looking at YNAB and this seems to be one of the key step that the software helps you with. @Ken – Yes, irregular expenses (some call it variable expenses) are the ones you have to be careful with. @Craig – Right. You can still spend money on whatever. As long as you’re honest about it and budget for it, it’s not a problem. @Michelle – That’s a strong endorsement of YNAB. Thank you for sharing. @Bill – Thank you for that big compliment! Great point about including treats for yourself in the budget — incentives are good. One of the best budget creation posts I’ve read! I especially like the advice in #5 on balancing the budget of having a trusted outsider evaluate your budget if you can’t get it to balance yourself. #7 is the tricky one though. Don’t forget to pay yourself or you’ll have no incentive to stick to it. By that I mean, if your budget is so tight that you can’t afford one meal a month out with your family, or enough to pay your softball league fee, whatever, then your chance for success is severely diminished. Call me crazy, but I budget for essentials first (food, transportation, mortgage/rent, insurance) and then I pay myself ($50 every two weeks) and the rest goes toward wiping out debt! Trust me, I’m on a very tight budget but I always pay myself (and my wife!) before the creditors. Again, great post. Very well done. I second the endorsement/recommendation of YNAB…it is both a budgeting AND a lifestyle tool: you spend today’s earned money next month and you accrue in your monthly budget those expenses that are foreseen, but not imminent. I am NOT exaggerating when I say that I had tried 5 different software and nothing seemed to click – but within a month of using YNAB, the light bulb had come on… In the past 9 months of using the software, our family went from living paycheck-to-paycheck with $2500 in credit card debt we just couldn’t seem to pay down to having 2 mos. pay IN THE BANK (the start of our emergency fund), no credit card debt and a PLAN for the future. You see the impact of your day-to-day spending choices, it enhances budget discipline and it enforces planning…It really is that good! No best way to track and budget, it’s all about what works for you in your situation. I think people think that having a budget means you can’t spend. In fact that incorrect. If you have a hobby, or like buying something. Continue, just know in other areas that you could eliminate or cut back on. Planning out and organizing is very key. I would add to keep track of irregular expenses…for example..we only buy detergent every other month…these oversights can hurt you…..this is from experience. Good post! We struggled for a while before we found our budgeting groove. One thing that helped us was using last month’s income to budget! This helped because I had a fairly irregular income, but did require us to get a month ahead in our bills. I really want to try YNAB to see what it’s like. I’m probably going to give the free trial a test run this week!